I am grateful for little things to laugh at, imaginations, and family time. I have a couple of fun projects to share with you this week. I'm excited. Thanks for coming to my blog. You should definitely paint that box up like a house, or a post office or castle or something! Or...a bat cave, perhaps? 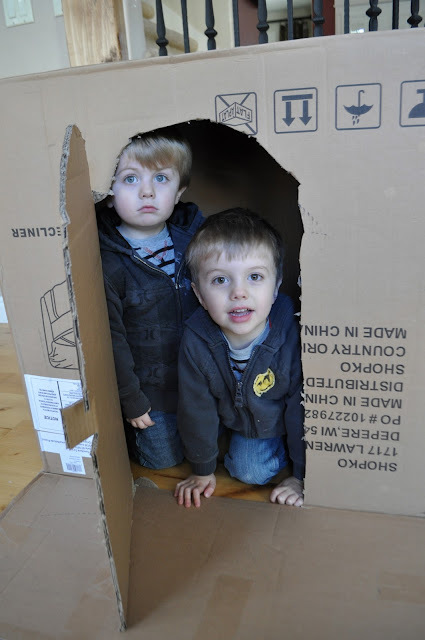 We use to give the kids big boxes to play with. My daughter liked using markers to draw pictures on the walls. Fun times. 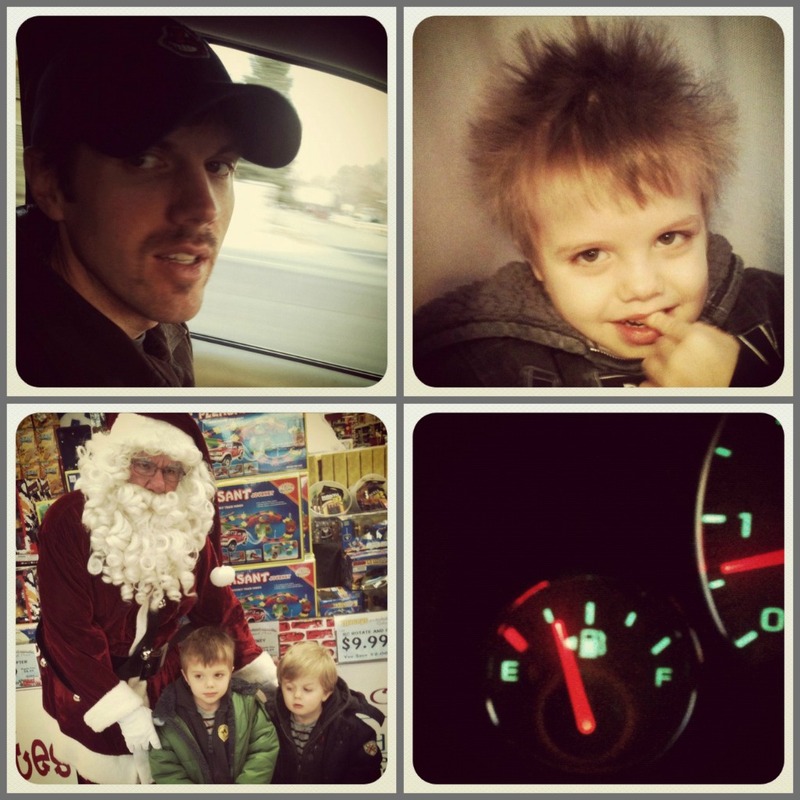 I'm glad you are enjoying your times with your kiddos. Be blessed! love the look on badens face too. (with santa)He's like "UHHHH" cracks me up. oh I love boxes too. They were the best toys when I was little. :) And I love the idea of that book. I will have to find it! 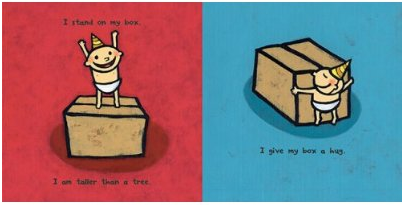 We have a cute book like that called Not A Box... so fun! alsooo I loved big boxes too! So much fun! Haha, there's nothing better than a creepy stache! In Canada during November all the guys wear mustaches for cancer awareness and it's called Mo-vember... It's pretty entertaining to see all the young professionals with 80s staches. Too bad you didn't live up there, your hubby would fit right in! Love the boys' facial expressions! I was totally there when Santa pulled up on the Harley! If I had reconised you I would have been as star struck as your son with Santa. I love reading your blog!